Lego + AI? Just think about it, isn’t it a magical combination? 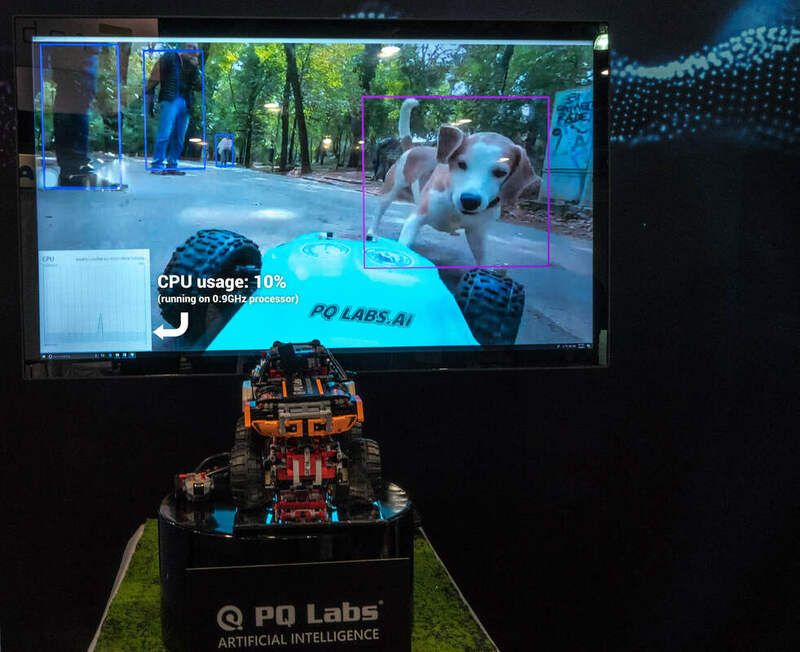 In CES 2019, PQ Labs demoed a Lego's toy car running AI self-driving task. The self-driving application was running on a 0.9 GHz processor, and the entire computing system was embedded into the Lego 9398 4x4 Crawler. Self-Driving Lego Toy Car, Detecting Dog. The answer is MagicNet, new AI computing technology from PQ Labs. MagicNet can run supplicated AI applications like Self-Driving with out GPU, but the performance is GPU-level. According to PQ Labs test result, MagicNet pushes a mobile level M3-6Y30 chip to 157 frames per second while running VOC 2007+2010 dataset, against NVIDIA Titan X’s 207 frames per second. Another interesting thing in PQ Labs booth is the Magic Face 4K demo. A 4K camera video streaming to a huge display, with over 2,000 people gathered in a stadium. 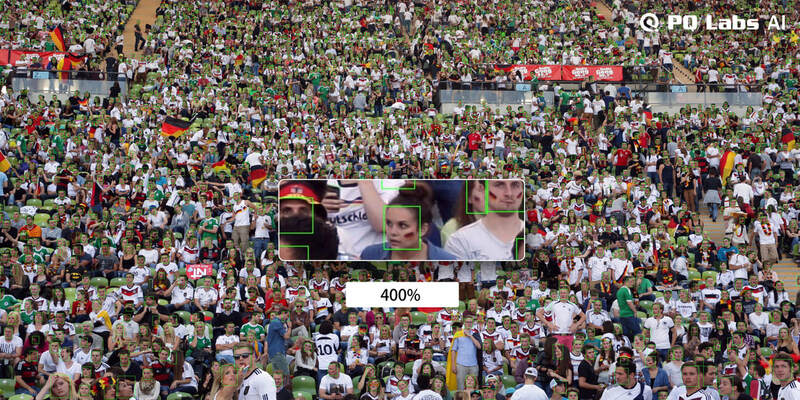 The Magic Face 4K technology detects all 2,000 faces in a single frame at the same time. This is incredibly high density of faces. Maybe the CES organizers are interested in this technology to do traffic analyze during the show. MagicNet is able to run at an incredibly high speed: 199X faster than Intel MKL on i7-7700K, and 3.5X faster than NVIDIA Titan X. And you don’t have to buy GPU to get this crazy performance, MagicNet is a heterogeneous computing architecture system, also provide a CPU-only version for everybody to get hands on. Interested in Demo, Evaluation Kit, Tech Specs, News Updates, etc. ?